How do you beat condensation? 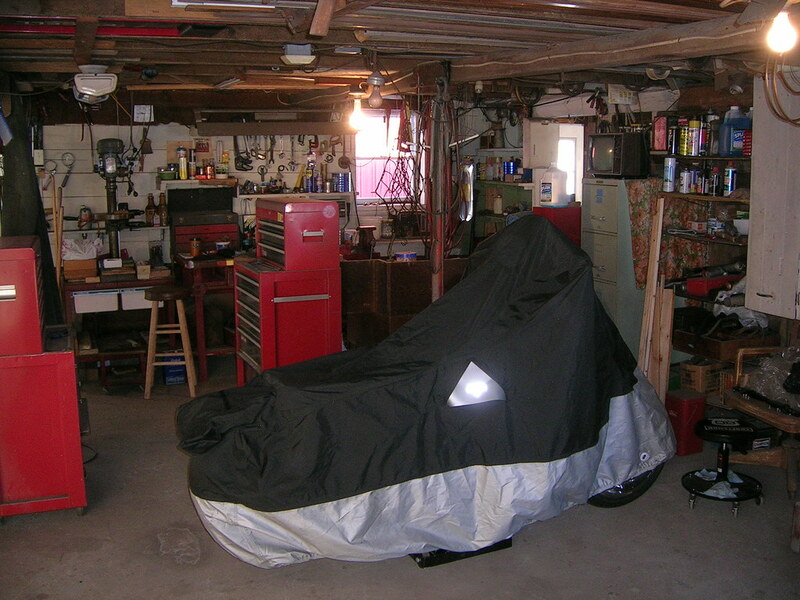 As we hit Spring, how does everyone deal with the condensation issue when the temperatures change in the shed or garage and the bike instantly gets soaked. Is there a way to prevent it? Hang a bare 25 watt filament / incandescent bulb within five feet of the bike. Same solution for a stored boat. This^^^^^^^^^^^^^ and add a ceiling fan. Had a storage garage for the old cars when I lived north. I store my ride in an Old Open Barn that's not very tightly sealed. Had big issues with the aluminum/chrome sweating during temperature changes when the bike was covered and stored as shown in the 1st photo. The bottom photo is how i currently put my bike to sleep during the winter. Use a large unfolded fiber carton (plastic is fine too) that is the vapor barrier and an old woven cotton carpet above. I use a couple of single bed skirts to keep the dust off and this allows the bike to breathe. 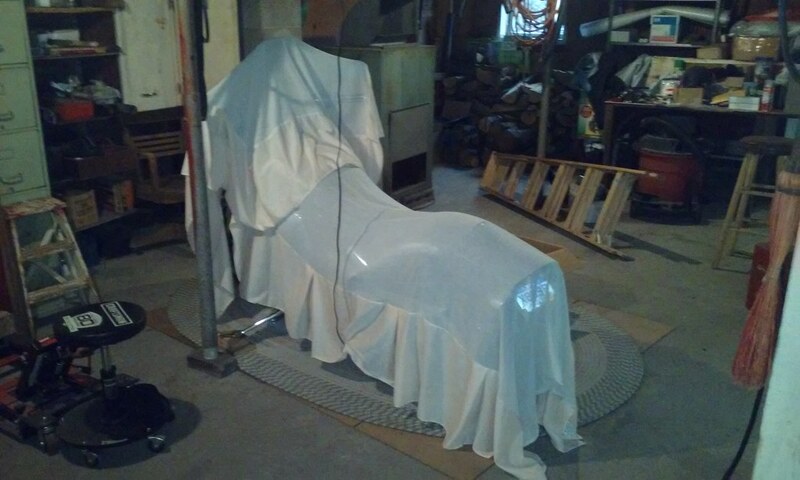 Here is a pic of her in her cozy little 8x12 room, she stays nice and dry.